Time for for poster and oral presentation in the area of Human Genetics will be allocated. Please be ready for your abstract. 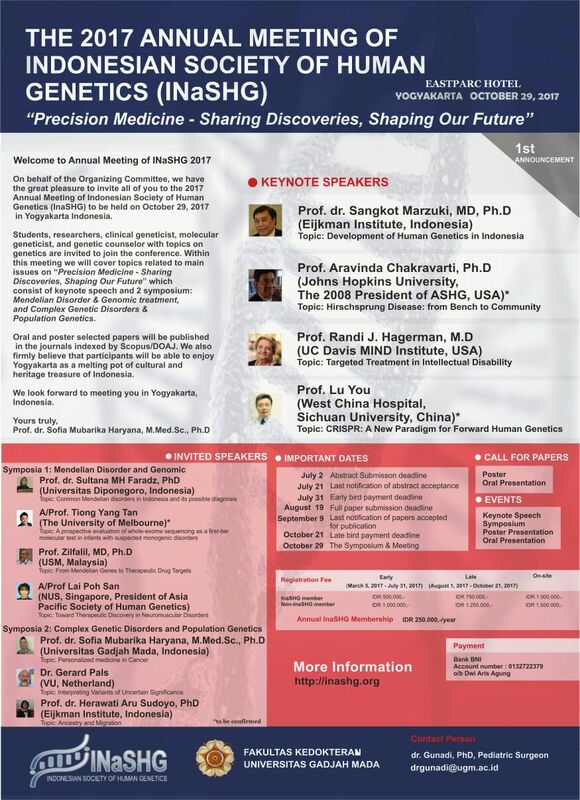 Abstract submission Deadline: 2 July 2017. Please contact us if you wish attending individual event.